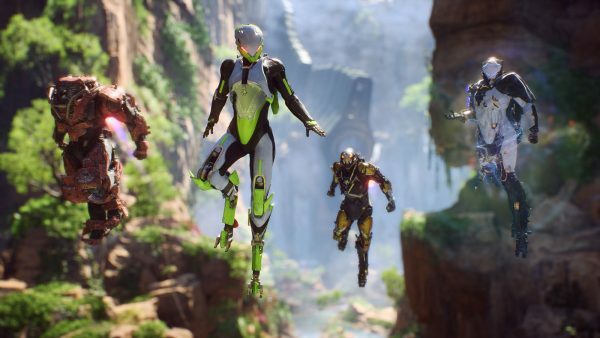 Before playing it, I had little interest in Anthem, a shooty new co-op game from the studio behind some of the best RPGs ever made. When I think of a BioWare experience, it’s the story choices, the characters, and the surprises I remember most fondly. 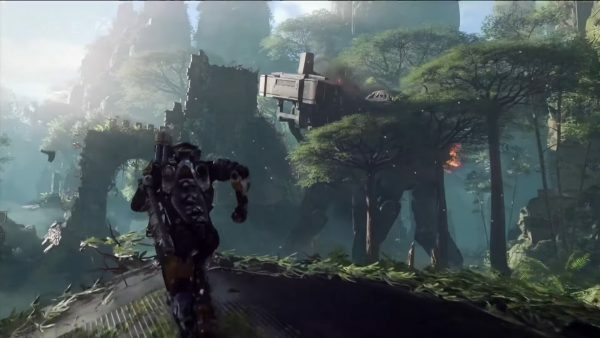 In contrast, Anthem looked cookie cutter – another game you run through with friends, staring at pretty environments and watching numbers pop out of bullet sponge enemies. While the demo I played at gamescom was essentially that, Anthem does an amazing job of converting naysayers once you have it in your hands. Combat is clearly the focus, but the tight gunplay, the Mass Effect-esque powers, and the intuitive flight system elevate it above those initial impressions. So how exactly did BioWare, a company best known for creating branching stories and deep single-player experiences, end up making a co-op shooter? Storytelling is still important to BioWare, of course, and that idea of the world came before anything else. 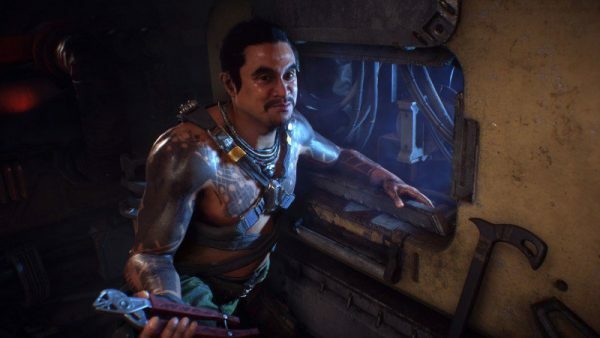 Anthem will retain some of those identifiably BioWare traits. BioWare says it wants to disrupt the industry when it comes to the game’s social features, making it easy to jump into the world with both strangers and friends. This, of course, adds a design challenge: how can you let players have an impact on a shared world without fragmenting the player base? While we don’t know exactly how BioWare has solved this particular issue, we do know that part of it is a case of simply scaling back on world-changing choice and consequence, at least out in the proper game world. The reason it is designed this way, in part, is so BioWare can add limited-time dynamic events whenever it wants. While Warner was tight-lipped about what these will be, he claims they will be “surprising”. In fact, BioWare has solid plans in place already for post-launch. The game has been built to be a proper service game, so expect new javelins (those class-based, Iron Man-fantasy combat rigs), cosmetics, and a regular pace of fresh content to put those mechs through their paces. “To keep it on a philosophical level, I think to keep people engaged you have to approach it in a varied way, and keep the pace of it fairly regular so you’re not waiting for long stretches in between new and interesting things,” Warner says of BioWare’s post-release plans. What better way to reach those horizons than in a beefy combat mech kitted out with a missile barrage?